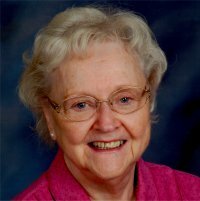 Margie Lou Jones (Purcell) of Belleville, one of the most spiritual, faithful and truly wonderful persons ever to grace this planet left this earth to pursue her new journey with her Heavenly Father on February 4, 2019. If you knew Margie, you loved her…and she loved you. She made you feel like you were her favorite person (I’m pretty sure I was). Every one of her family, friends & adopted families felt her undying love. She counseled the lost, helped the troubled, and comforted the lonely; every person touched by Margie is a far better person for having known her. A devout Christian who nevertheless challenged the Catholic Church for many of its archaic views, she dreamt of being the first female priest. Maybe in heaven Mom. Because we know you are there presenting a compelling argument for ordination. A mother of three boys, and at one point in time, all five of the immediate Jones family were pursing degrees at St. Louis university, with Margie receiving her bachelor’s degree in theology. She worked for the Belleville Diocese for over twenty years. Her real job, however, was caring for and enjoying others. And being an awesome Mom, Grandmother & great grandmother. An avid bridge player, she also kept her mind sharp with a family game of Rumi cube or a puzzle. She was a voracious reader-mostly authored by biblical scholars. She was not just a member of Blessed Sacrament church, pillar Margie tutored, and scheduled lectors, & spearheaded the Right of Christian Initiation for Adults, as well as Ecumenical Worship. She loved her ‘faith share’ family and her scripture class family led by Father Roger Karban. She volunteered for the Karla Smith Foundation. She also volunteered and substitute taught many classes at Assumption high school. She also loved her Al Anon family & often found solace in the Al Anon books. Her husband of 65 years, Gaither Brown Jones passed before her, as did her parents, Adrian and Amelia ‘Muzzy’ (Buck) Purcell. As did her brother Bob Purcell and her beloved niece Audrey Allen Purcell. Born on July 19, 1928, she was raised in East St. Louis; she was president of her high school sorority at St. Theresa’s Academy (Tau Delta Phi) and president of the East St. Louis junior women’s club. She is survived by her three sons: Curtis M (Cheryl) Jones MD, son Alexander Adrian Jones; David R (Sue) Jones their three children Suzanne Catherine (Matthew) Krakover, Allison Marie (Sean) McBrien, Harrison David (Kristen) Jones; and son Robert Gaither (Linda) Jones, their 2 daughters, Lauren Christine and Abigail Elaine Jones. Great grandchildren, Samuel & Catherine Rose Krakover; her dear sister Dorothy, sister in law Paula Purcell and brother in law, Rev. Robert Jones and many beloved nieces & nephews. Immense thanks to the “dream team” that helped care for Mom: Roseanne Mathis; Joyce Herman; Sherry Koehl; & Mary Rose Johnson. “There is nothing that is not spiritual for those that have learned to see.” Indeed, mom learned and knew how to see. Visitation: From 4-7pm, Friday February 15, 2109 at Kurrus Funeral Home in Belleville, IL, and from 9-10 am on Saturday, February 16, 2019, at Blessed Sacrament Church in Belleville, IL. Funeral: A mass of Christian burial at 10 am celebrated by Fathers Matt Elie & Jim Voelker. Internment will follow at Mount Carmel Cemetery, Belleville, IL. I am truly sorry to hear if your mother’s passing. Your comments are just a fraction of what your mother contributed to her famil, friends and church. Your mother was such a strong woman of faith and conviction. I am out of town till the 19th of February and will be unable to attend services for your mother and tell each of you in person how sorry I am that your mother has passed. Margie was such a wonderful person!! She was a step-grandmother to me for 40 years! I remember being just a first grade student when she sat me down and taught me to play Uno and Skip-bow! Games I later taught my own kidsI We had so much fun! Gaither watched my brother from time to time and then we would all get together for his wonderful spaghetti dinner. Card games always followed, as did a sweet and a fun evening! We all took turns living in the little house next door and cherished a little Margie advice when we would pass her in the breezeway. I think just about everyone of us called that add on home at one point!! She was a gift and will be missed. WE LOVE YOU GRANDMOTHER!! XO WE will all see you again soon. Until then… LOVE! I knew Margie well through my mom, who passed away at 94 on Labor Day 2018. And I knew her son Robert very well having grown up with him in Belleville. She and my mom were extremely close having both lectured at Blessed Sacrament. She will be greatly missed!! !